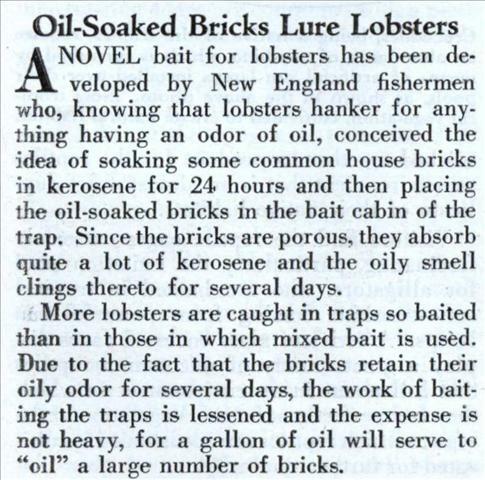 A NOVEL bait for lobsters has been developed by New England fishermen who, knowing that lobsters hanker for anything having an odor of oil, conceived the idea of soaking some common house bricks in kerosene for 24 hours and then placing the oil-soaked bricks in the bait cabin of the trap. Since the bricks are porous, they absorb quite a lot of kerosene and the oily smell clings thereto for several days. More lobsters are caught in traps so baited than in those in which mixed bait is used. Due to the fact that the bricks retain their oily odor for several days, the work of baiting the traps is lessened and the expense is not heavy, for a gallon of oil will serve to “oil” a large number of bricks. Would the lobsters ingest kerosene, therefore making their flesh somewhat toxic? Don’t think of the kerosene and toxic, rather as a flavor enhancer. I wonder why they’d be attracted to it. Maybe because they’re scavengers and most living creatures give off their fatty tissues as oils and oil-like compounds when they die and sink to the bottom of the sea. Anybody know? any Mainiacs around? That’d go over really well with the EPA and other regulatory agencies — dropping petroleum-soaked bricks in the water. True, #4. Should be great for the environment to have all those kerosene soaked bricks in our oceans. 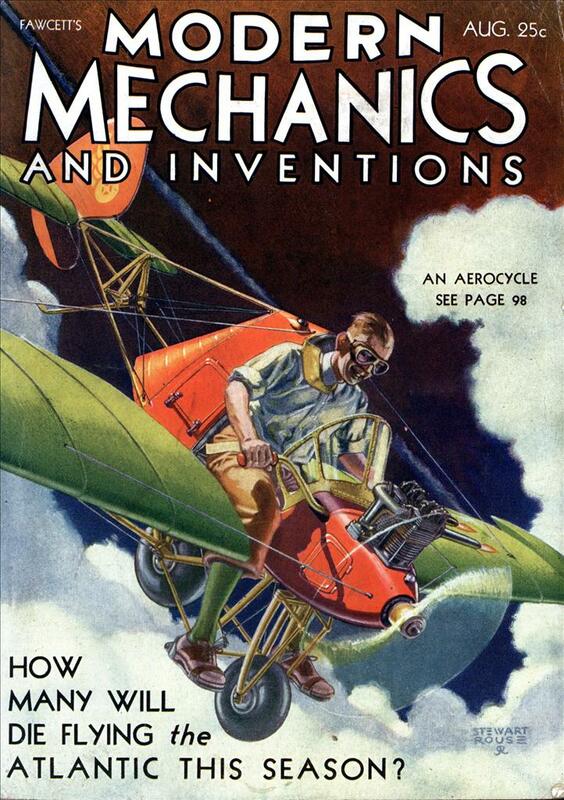 The price of oil today has reversed this practice! 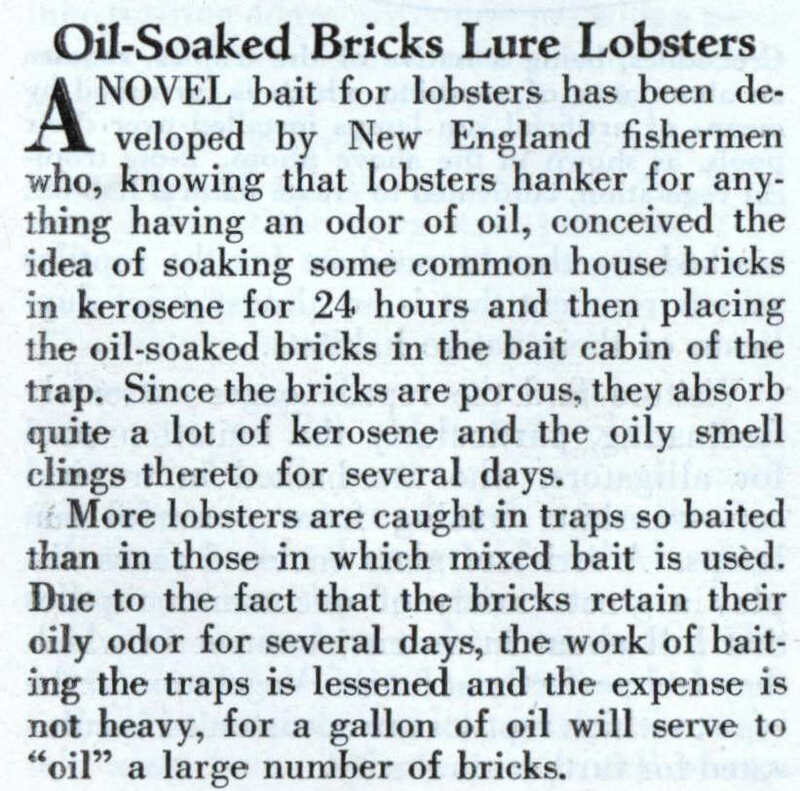 Now fishermen place several lobsters in the trap hoping to allure an oil-soaked brick. Brilliant, Clashing. Thank you for that :). it would be evironmentally safer just to rig the brick so it bashes the lobsters skull in. But then again PETA would probably have a nancy over that. Of course PETA would freak out. They want us all eating tofu or something, until they come up with yet another harebrained thought that soybeans have rights, too. Let’s face it, PETA hates [b]people[/b]. I thought PETA stood for People Eating Tasty Animals. What did I miss?